Brewer Description: (from bottle) We did our best to create a tempting, romantic white ale brewed with blackberries and blueberries. It’ll make you feel this way, like a first morning dew on a brand new day. Intro: A 330ml bottle with a best before date of 3rd February 2019. Poured into a Lost Abbey teku glass. Appearance: A hazy dark reddish purple colour with a two finger pink head that had good retention and left great lacing. Aroma: Mixed berries juice. Blackberries, blueberries, raspberries and grape. Taste: Lightly tart, with blackberries, blueberries, grape and lemon. 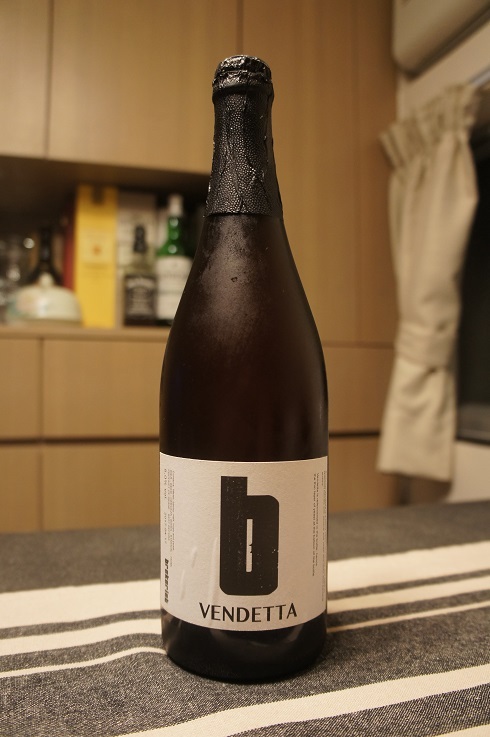 Overall: Very juicy and nice to drink. Not much of the White Ale base really seems to come through, if at all. But that doesn’t take away from it, and its refreshing, fruity character. 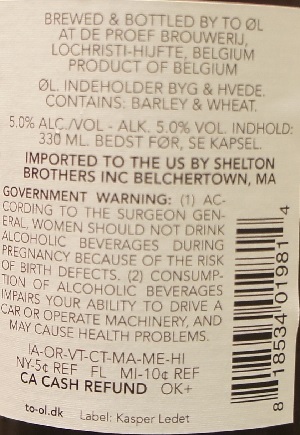 Brewer Description: (from bottle) We went to England this past spring as self-styled “IPA Hunters” on a mission to learn more about the confusing and often contradictory history or India pale ale – to look for some certainty where those before us have found mostly mystery and mercantilism. 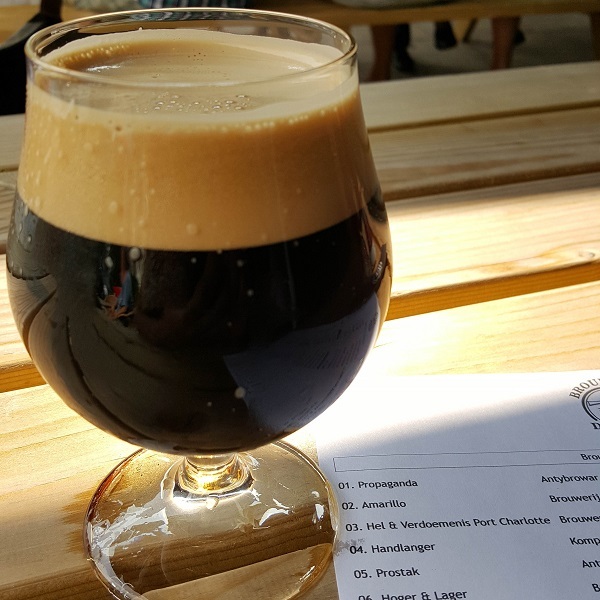 While our success in this pursuit is open to debate, there can be no question that we returned home inspired by the ghosts of Burton and by the experience of poring over 150-year-old brewers’ logs handwritten in (India?) ink. 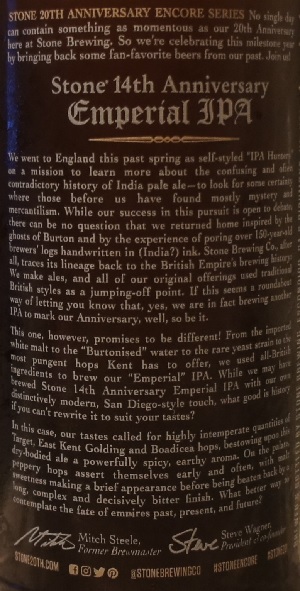 Stone Brewing Co., after all, traces its lineage back to the British Empire’s brewing history: We make ales, and all of our original offerings used traditional British styles as a jumping-off point. If this seems a roundabout way of letting you know that, yes, we are in fact brewing another IPA to mark our Anniversary, well, so be it. This one, however, promises to be different! From the imported white malt to the “Burtonised” water to the rare yeast strain to the most pungent hops Kent has to offer, we used all-British ingredients to brew our “Emperial” IPA. 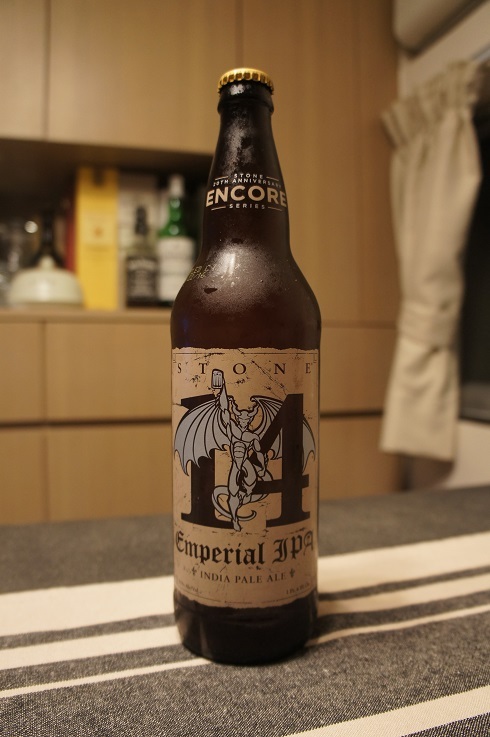 While we may have brewed Stone 14th Anniversary Emperial IPA with our own distinctively modern, San Diego-style touch, what good is history if you can’t rewrite it to suit your tastes? In this case, our tastes called for highly intemperate quantities of Target, East Kent Golding and Boadicea hops, bestowing upon this dry-bodied ale a powerfully spicy, earthy aroma. 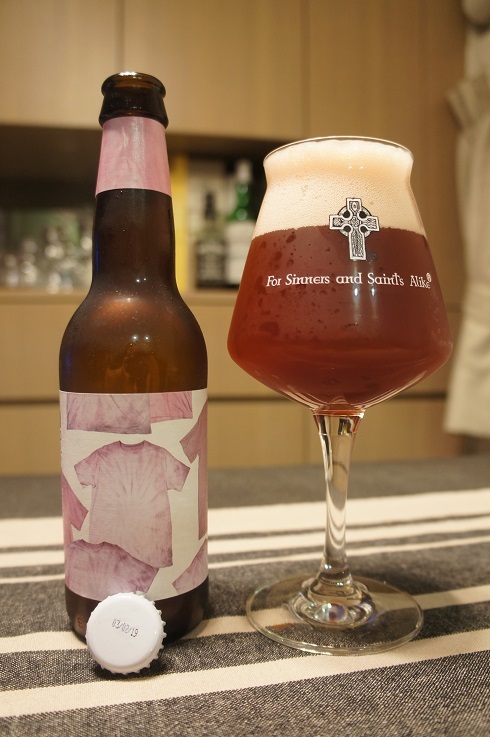 On the palate, peppery hops assert themselves early and often, with malt sweetness making a brief appearance before being beaten back by a long, complex and decisively bitter finish. What better way to contemplate the fate of empires past, present and future? Intro: A 22 oz bomber, bottled on 22nd October 2016, and poured into a Spiegelau IPA glass. Appearance: A slightly hazy pale golden orange colour with a one finger white head that had good retention and left nice lacing. Aroma: Caramel and pine with fruity apricot jam, orange and perhaps a touch herbal. 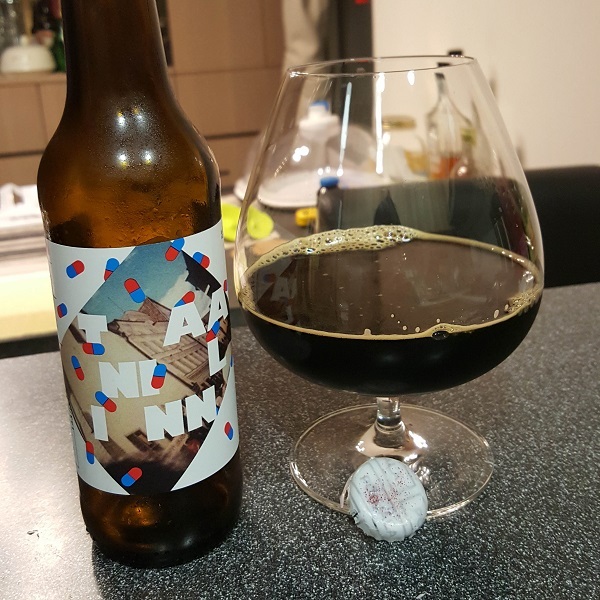 Taste: Caramel malt, biscuit sweetness, light lemon tea, followed by pine, herbal and lingering citrus bitterness. Mouthfeel: Dry-ish, medium to light bodied with moderate to light carbonation. 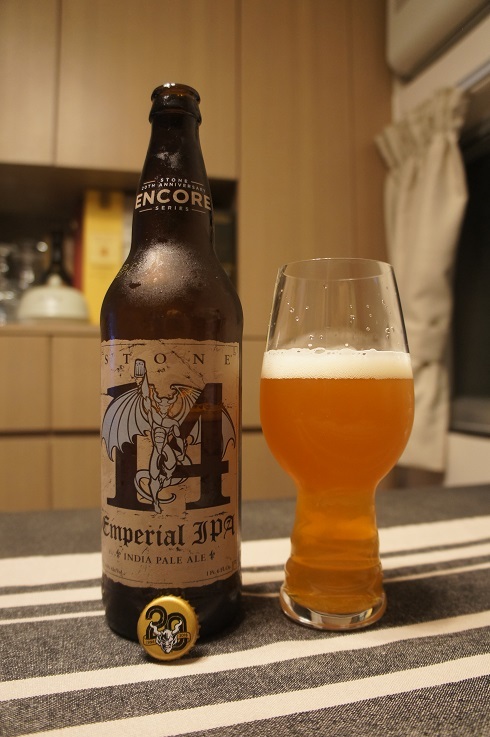 Overall: This was an interesting English DIPA with nice maltiness and hops. Obviously this post is a bit late… So, 2016 came and went, I mean its already mid-January 2017! 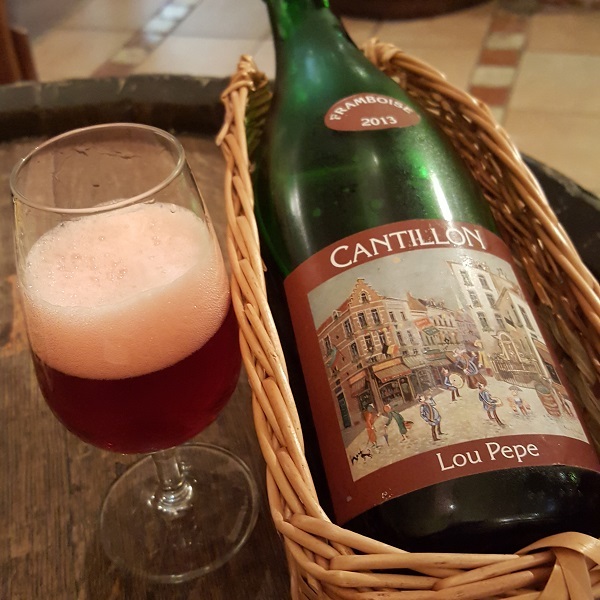 Over 2016, I managed to try many many great beers, especially with a long trip to Europe over the summer which included Belgium and Denmark. 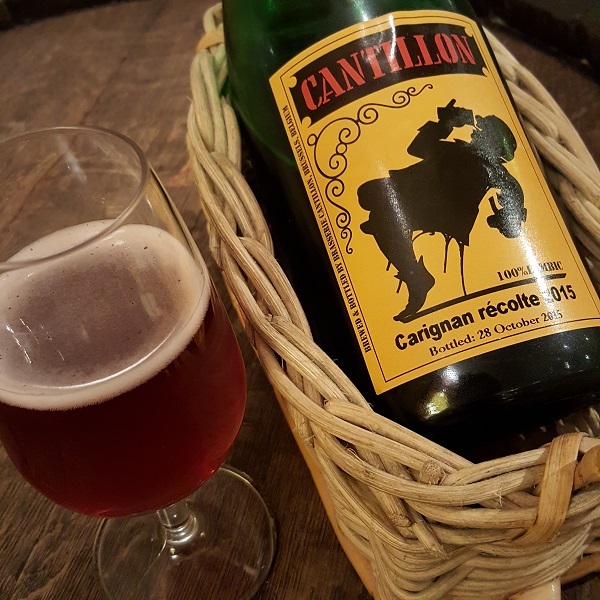 This list of most memorable beers is not a list of beers that I rated most highly throughout this time, but simply, just as it says, most memorable to me. 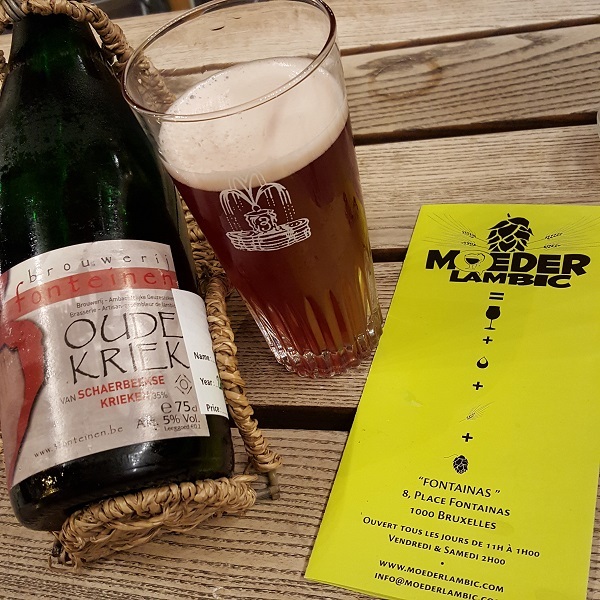 It includes all the beers that I’ve tried, including at tastings (usually at least 100ml), beer festivals or whatnot, and it does not matter whether I have reviewed them here or not. 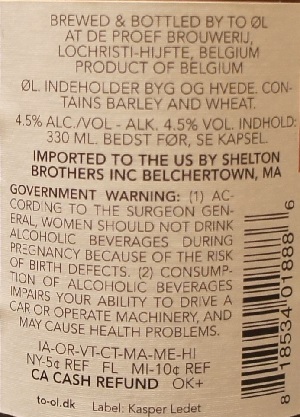 There is also no limit per brewery or per style, and is just listed in alphabetical order. Interestingly, despite the IPA and Imperial IPA likely easily being my two most drank styles over the year (including a special fresh IPA tasting in Hong Kong that included a whole bunch of Treehouse, Trillium, Alchemist and Monkish beers), none of them made this list that is dominated by eight sour beers and two Imperial Stouts. 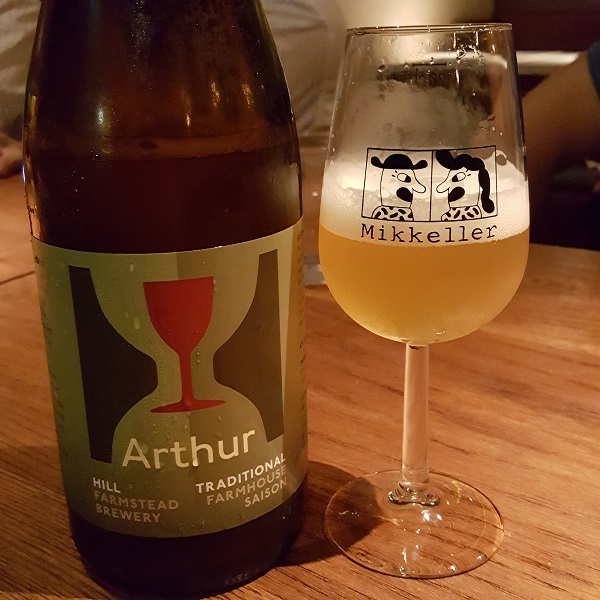 I have reviewed all the beers on this list except Hill Farmstead Arthur, which I had at our 2016 Hill Farmstead Christmas party tasting (post to come – ‘I think…’) at Club Qing. 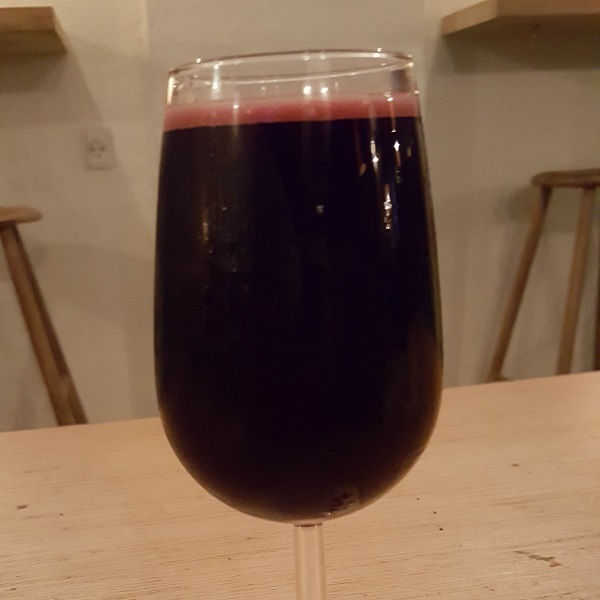 But at a tasting that also included Anna, Convivial Suaréz (Grassroots), Dorothy, Earl, Edith, Everett, Fear and Trembling, Florence, Genealogy, and Twilight of the Idols; Arthur ended up being my favourite. 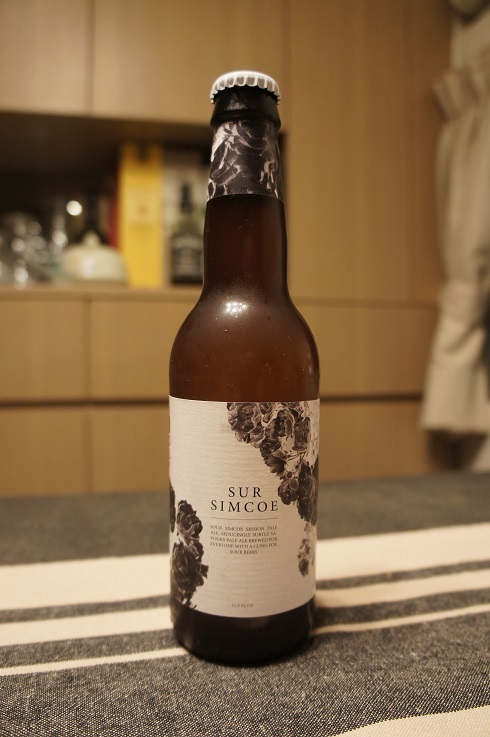 Brief TN – sour, tart, funk, lemon, straw and peach. Anyway, feel free comment on what was your most memorable beers of 2016, and carry on drinking! 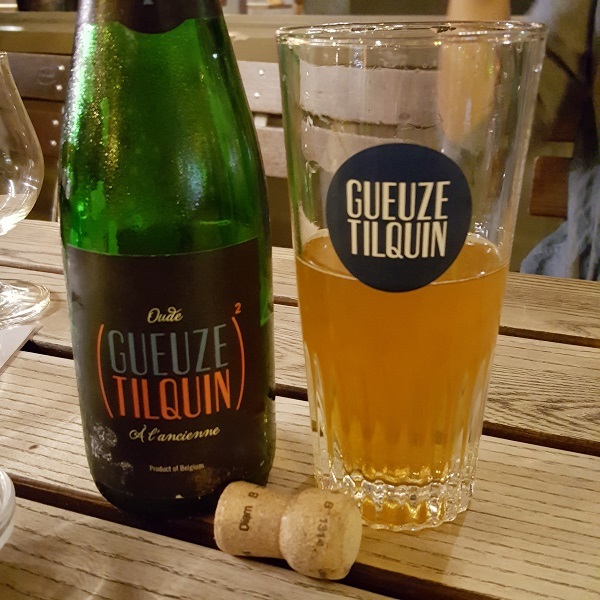 You can always check out what I am drinking in 2017 on this blog, Beer Advocate, Rate Beer, Untapped and Instagram. Cheers! 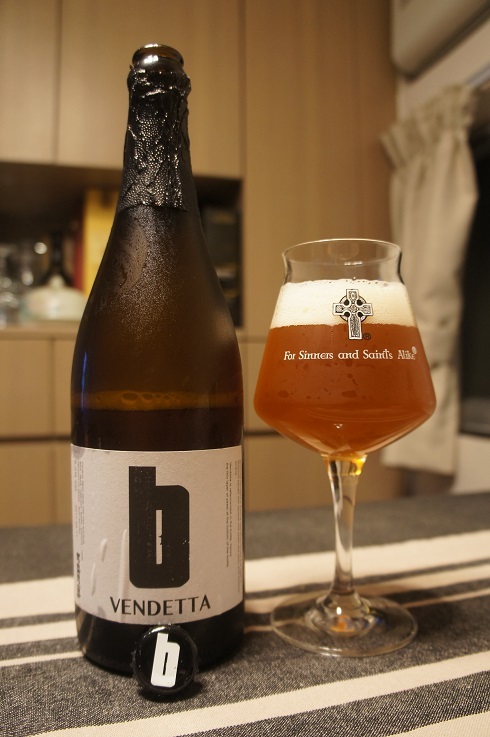 Brewer Description: (from bottle) Brekeriet Vendetta is a blond saison fermented and aged in Niepoort barrels with several wild yeast and lactic acid bacteria strains. Intro: A 750ml bottle with a best before date of 17th April 2017. Poured into a Lost Abbey teku glass. Appearance: A lightly hazy golden orange colour with a one finger white head that had decent retention and leaves some nice lacing. Aroma: Sour, funky, barnyard, brett and moist wood with lemon and orange citrus. But it’s all a little light. 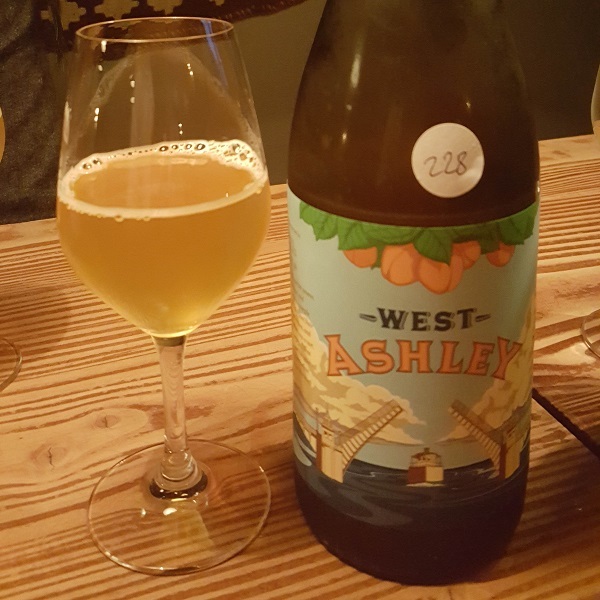 Taste: Sour, tart, funky, oak, tangy, lemon, vinous, grape, peach and apricot. Mouthfeel: Dry, light bodied with moderate to high carbonation. 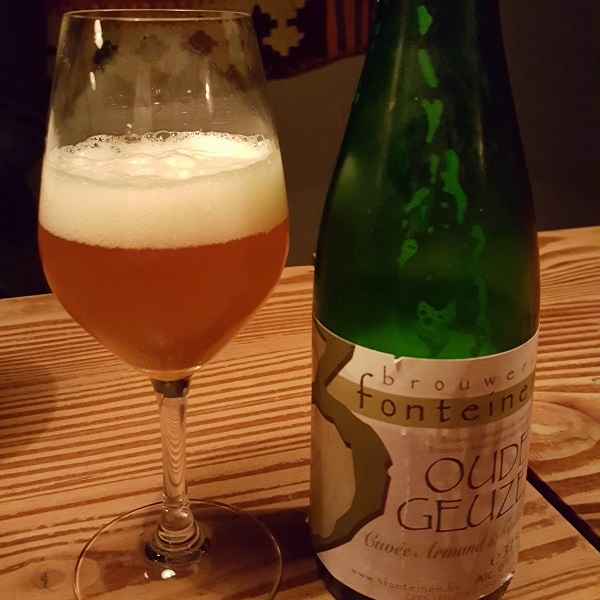 Overall: A nice saison with good oak and fruitiness. Refreshing and easy to drink. 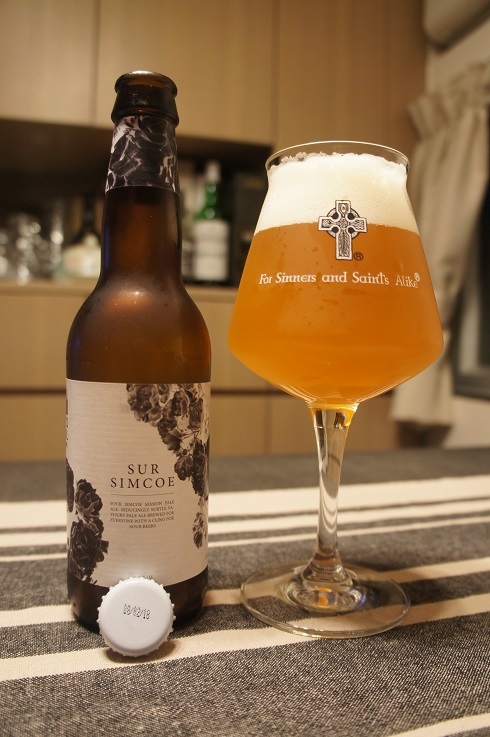 Brewer Description: (from bottle) Sour Simcoe Session Pale Ale. 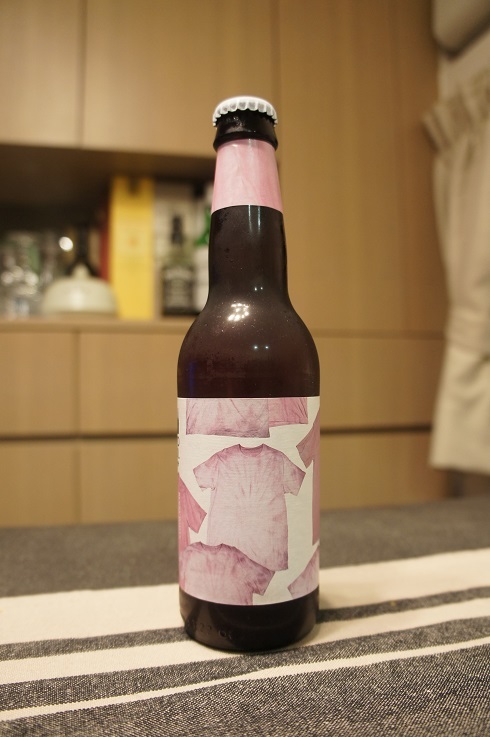 Seducingly subtle savoury pale ale brewed for everyone with a cling for sour beers. Intro: A 330ml bottle with a best before date of 8th February 2018. Poured into a Lost Abbey teku glass. Appearance: A hazy golden orange colour with a two finger white head that dissipated fairly quickly while leaving nice lacing. Aroma: Sour, mango, passionfruit, white grape and grapefruit with some light funk and grass. Taste: Sour white/green grapes with a touch of grapefruit and lemon. Reminds me of a sour version of those muscat gummy candies. Mouthfeel: Light bodied with moderate to high spritzy carbonation. Overall: Refreshing and easy to drink. I preferred this over the Sur Amarillo. I’m just a sucker for those muscat gummy candies.